Mr. Peace married Hazel Spears of Austin, Texas, who graduated from The University of Texas in 1922. They live at Harmony Hills Farm in Lufkin, Texas. Mr. and Mrs. Peace have two daughters, Carolyn, who is married to John Henderson, and Elaine, who is married to Thomas J. Moroney, Jr. 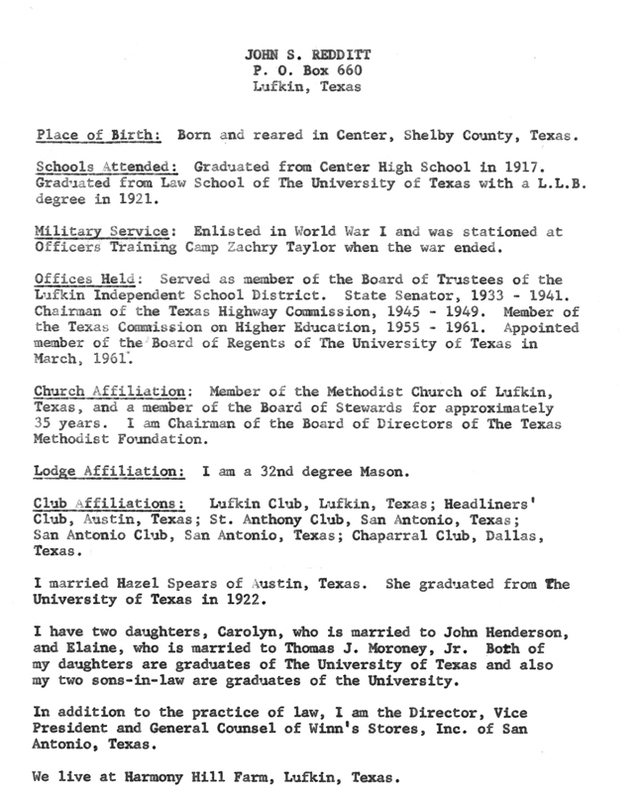 Both daughters and their husbands are graduates of The University of Texas. In addition to the practice of Law, Mr. Peace is the Director, Vice President, and General Counsel of Winn’s Stores, Inc. of San Antonio, Texas.